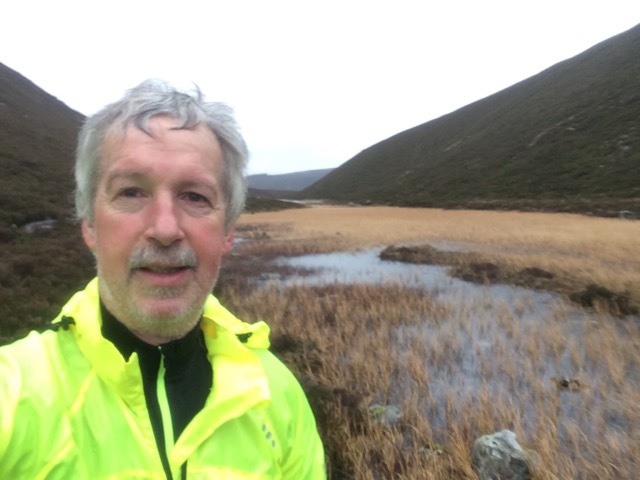 My suggestion to Evelyn – after I’ve been for my annual dental checkup, why don’t we do cp10 (Tom Anton) and then try out The Bothy tearoom in Braemar. Parked at Inverey and up the zigzag track and then through the heather. Forgot both camera/phone and gps so no photo and had to resort to actual mapreading to find the cp. Luckily it must be about the easiest on the challenge. 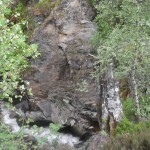 Took direct route back through the trees and onto Braemar. Food, portions and service in The Bothy were excellent. As Victoria sponge was oozing cream and jam and is one of my few weaknesses, the choosing was simple. Coffee also to be recommended and be sure to get a loyalty card for future visits. (they have a sister shop in Ballater). Oh yes, dentist gave me the all clear. This entry was posted in cp18 and tagged D&E on July 16, 2015 by site_admin. Up to Inverey in chilly, but dry conditions. By bike up the glen, about an hour up to Altanour Lodge, with a stop at the Colonel’s Bed. This was another new glen for me, although I had been up as far as the Colonel’s Bed. 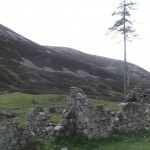 I was surprised by the number of grassy areas, clearly old farmland as there were several old settlements up the glen. 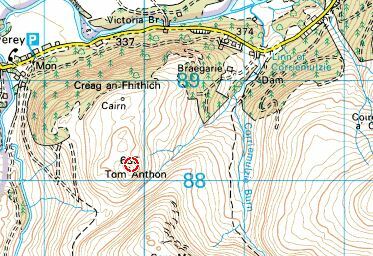 I then came back down and turned up the other track, leaving the bike at the last bend in the track to follow a narrow animal path on to the ridge to ascend Tom Anthon ( wrongly identified on the challenge site as Colonel’s Bed, but numbered CP 18). Stopping at one point to look for the summit, I was amazed to see a golden eagle swoop over my head, my second in just a week. 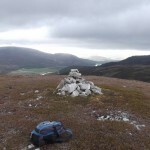 There was a small cairn of quartz stones at the summit, with a nice view down to the Dee at the Quoich. This entry was posted in cp16, cp17, cp18 and tagged Phil on June 22, 2015 by site_admin. 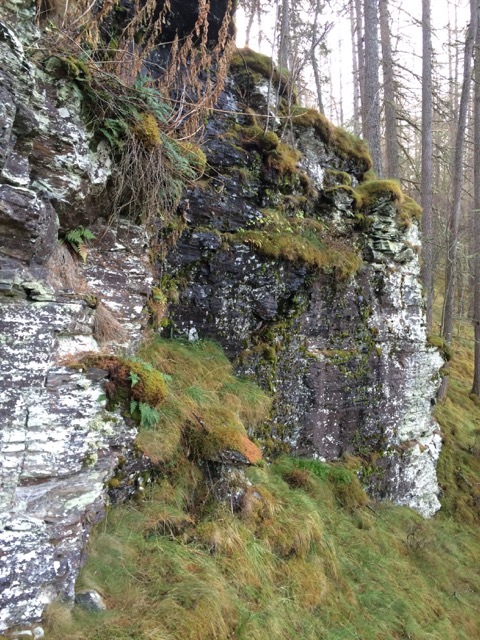 Did a traverse of this while a friend was at a meeting at Mar Lodge. Starting from the bridge for Mar Lodge, headed to Inverey, then up track that zigzags up west side of Tom Anthon. 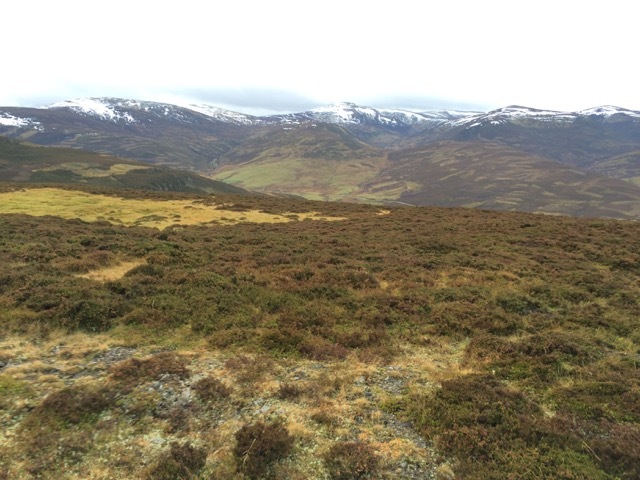 Directly up through the heather at the last bit, then from the top headed north to the marked Cairn. A nicer point that the actual cp (by then the snowstorm had calmed so got some views). 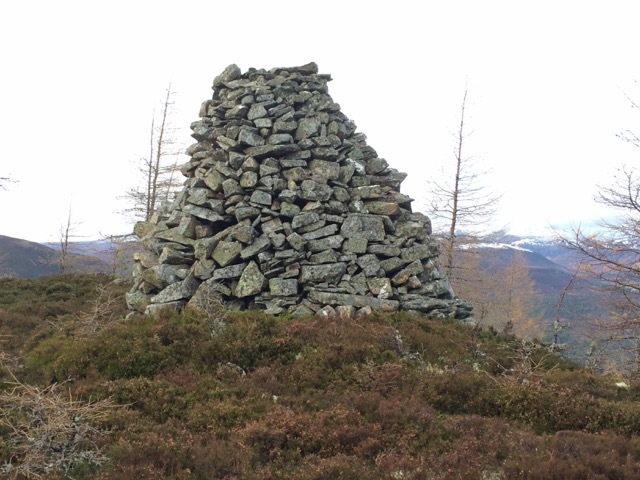 From there headed east along side of the drystone dyke and met up with the track that goes past Braegarie. 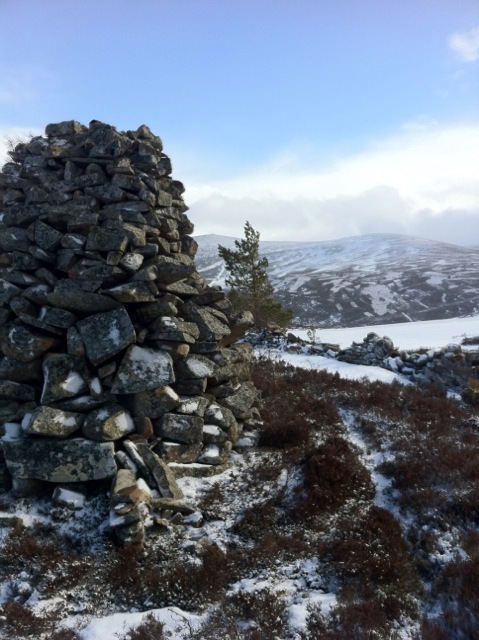 Returned to Mar Lodge via road and bridge. This entry was posted in cp18 and tagged KatieH on March 3, 2015 by site_admin.